Choosing the right wiring contractor in Singapore is no easy task, especially if you don't have enough time to do the proper research. In the worst case scenario, you could end up with a service provider that does a terrible job, but in most of the cases, you will just get a very average one that will somehow end up doing the job just fine, but may not be entirely cost-effective etc. 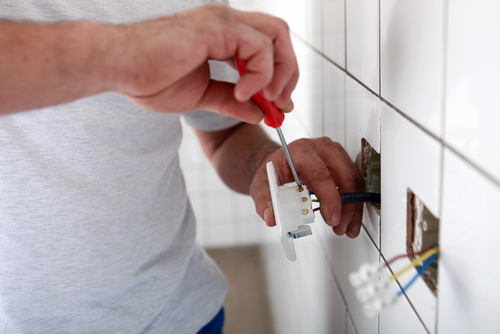 Let's face it: being a successful wiring contractor is no easy task. The market is very competitive and it's hard to survive even for quality service providers. The very fact that we have been able to survive for so long and thrive in such a ruthlessly competitive market is an undeniable proof of our abilities. We attribute at least a little bit of that success to our stringent acceptance requirements. In other words: we carefully choose who we let into our team. This means that we are able to guarantee you will enjoy only the highest quality of services when working with us. Furthermore, staying in the same industry for all these years really allowed us to hone our skills to the very maximum. We have encountered every situation there is to see, and know how to handle it no matter how complicated it may seem on the surface. 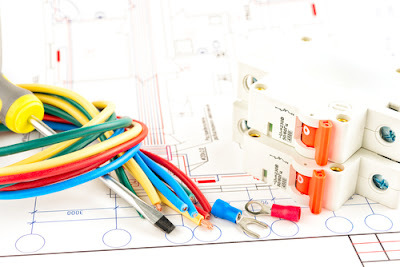 Competing wiring contractors tend to be very general in their approach, thinking that every size fits all type of solution will be enough for every situation. We, in comparison, believe in customizable solutions that best fit the client's particular situation. This also means that we offer the most competitive prices at every price level, meaning that you will get the best your money can buy regardless if you go with a budget-friendly solution or not. We are able to achieve this by constantly monitoring prices in the ever-changing market, and adjust our own ones so we remain the most affordable service provider at any point in time. If you don't know what type of services you should choose, no problem! We offer a free first consultation to our clients, so you always know what to expect and also how much the service is going to cost you, so there is never any guesswork involved. No matter what kind of question you may have, we will do our best to answer it as soon as possible and in a way which even the non-technically inclined persons can understand. Also, you can contact us at any time, even if it's the middle of the night! Our customer service team is on the job 24/7, so we will be able to answer your questions from anywhere at any given time. And if we are somehow overbooked, we will arrange a time and date to call you back, so you will never have to deal with those nasty waiting queues. Alternatively, you could also just shoot us an email, and we will get back to you will a detailed and coherent reply as soon as one of our experts reads it. At the end of the day, there is nothing more satisfying than helping a client to make an informed decision, and we place our clients' satisfaction above everything else. A lot of competing wiring contractors like to put you on a waiting list and get back to you when they feel like it. The problem with this kind of approach is that you, the client, can simply choose another service provider that doesn't leave the clients waiting for so long. And - at least in practice - this often happens. That's why the policy of our company is to schedule an appointment as soon as possible, so we can start working right away. Time is money, and we perfectly understand that your particular situation may not allow you the luxury of waiting. Additionally, we realize that your schedule may not be very flexible, that's why we are prepared to adapt to it. After all, it's nice to be present at the location when someone comes over to do the wiring work, and we completely respect that. So this is our proposal: just call us and tell us when you expect to have time, and we will arrange a time and date that best suits us both. It really is as simple as that. We believe in the quality of our services, and we also like to back that up with an ironclad money-back guarantee. If you feel our services aren't up to par with the latest standards, we will give you your money back, no questions asked. Because of the money-back guarantee that we offer, you can safely choose to work with us, knowing that all risk lies on our shoulders and not your own. And if it turns out that we have left something out, we will come back to you to redo it without any additional charges. Call us today to discover why we have been successful in this business for such a long time, attaining tens of thousands of satisfied customers along the way. You can email us as well if that's your preferred method of communication. In any case, we will make sure you understand every part of the process that is going to take place, which means that there won't be any kind of unexpected costs involved. So what are you waiting for? 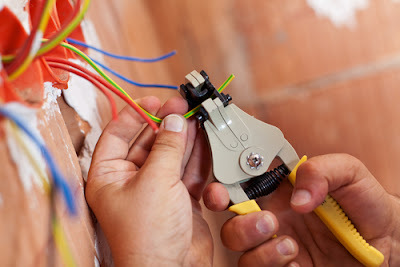 Only a single phone call separates you from working with one of the best wiring contractors in Singapore, and you only need to contact us; we will take care of the rest. Our team is looking forward to making another customer happy!